No one likes to lose a deal, but turning them away because you’re uncertain if you can honour client expectations and maintain product integrity is pure pain. If you’re in this position, it’s time to access expert support that includes structured technical instruction and policy advice. Most CEOs and industry specialists want someone they can trust to fearlessly advise them on how to avoid negative business consequences. Discuss client issues with me, Leonie, each Wednesday in 20-25 minute snap chats (R250). We focus on solving a specific problem or discuss policy, development strategy, 18.2 learner management or new sales angles. 1. My client wants to roll out a Generic Management NQFL5 for unemployed candidates, is this possible? Gen. Man. qualifications for unemployed candidates? This only works if employers are willing to treat them like managers and absorb them into their structures as emerging leaders. Management qualifications are best for employed candidates the employer would like to career path within the organisation. A management qualification in this context is extremely viable for organisations as it signals a positive message to employees (worth millions, surely!). Shift their rationale or sell another business relevant qualification. If the employer really wants to improve the context for the unemployed they should be open to a more relevant solution or ensure a realistic, appropriate environment for supporting emerging managers foreign to their corporate culture. 2. My client says they only want 1 days training per month yet our accredited delivery model is already an accelerated intervention requiring only 15 days of training and 3 for assessment. I need this deal! Let’s unpack relevant target groups within particular market segments – notional time is elastic and supports accelerated learning for those who can cope with it. 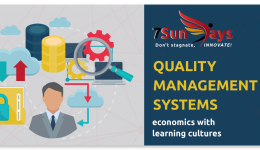 For this particular intervention, we’ll amend your QMS to include this model, develop relevant pre-assessment tools and quality assurance criteria justifying the implementation (of this model). Accelerated models don’t suit everyone, training providers must understand how to draw the line and maintain system integrity. 3. My client fired their former learnership provider and I’ve taken over. POEs are a mess and learners are demotivated. The employer wants to adhere to the deadline, three months from now! How do you suggest I begin? Ask learners ‘Who pays for this training?’ Make them say the name, government, employer etc. Then ask “who owns the qualification? Who gets the certificate? Can anyone take it away if you earned it by doing the work, suffering through it and meeting the demands?” Get them to agree that a qualification advances their career interests and is worth making an extra effort for. They’ll be concerned about their qualification and job future. Address both simultaneously. Training providers must accept responsibility for learner career development services. It’s market failure when E&T providers deliver occupational training without instructing on how to pursue associated careers. Gap analysis, determine what if any training is required. Deliver in integrated formats i.e. not individual units or you’ll frustrate everyone and waste time. Leadership Training in South Africa – Does it Deliver?